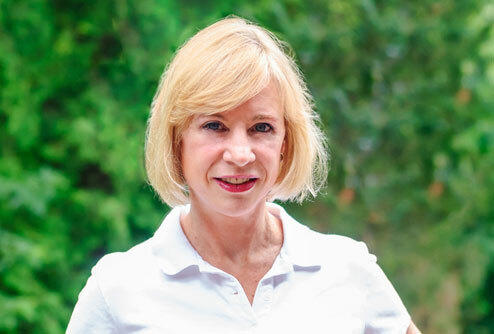 This week, in our series of insights from Jack Schwager's Market Wizards, we look at Linda Bradford Raschke, a commodities and futures trader. In 33 interviews with successful traders through his Market Wizards and New Market Wizards books, Jack Schwager interviewed just one female trader — Raschke. Raschke says that it is easier to predict the moves in a short timeframe than to try to predict large market moves. As someone who looks at the technicals, Raschke lets the market price dictate when she gets out of the trade - both on the upside and the downside. This may run counter to what you hear elsewhere. A lot of traders are more methodical in their approach with profit targets and stop losses set at the point of entry. Raschke, however, said she works to choose her entry price very carefully, noting that it is "critical" to trading well. "In day trading, a good entry price is critical because it buys you time to see how the market will react," she said. Raschke understands that the entry point is the only thing a trader can control. Once he or she is in a trade, the market will do what the market does. Raschke told Schwager that her number 1 rule is to not worry about profiting on a bad trade. Instead, she just wants to find the best place to get out. "If you buy because you think the market should bounce, but it only goes sideways, you'd better get out," she addded. "If your entry timing is good enough, you won't lose much even when you're wrong." Because she places such an importance on order entry, one can assume that she picks critical levels where she will know shortly the price is not acting right. In fact, Raschke provides an example, noting that "since the reason I got into the trade in the first place was because the market was so overdone," she is sometimes able to get out of trades at very favorable prices. Raschke told Schwager that her confidence came from the major loss she sustained early in he career. Pulling herself out of the $30,000 debt helped Raschke realize that she could "overcome anything that might happen in the future." Following that, she said: "I always knew that no matter what happened, I could go into any marketplace, with any amount of money, and make a living." Raschke said that her "most important skill is an ability to perceive patterns in the market." Given that, it is not surprising that she said she measures her trading by how right she is in predicting market movements. She pointed to a 70% success ratio for her trades, but said that money is not the motivator. Being right is. Knowing her weaknessnesses - such as entering trades too early - has allowed her to develop procedures to minimize their impact. For example, she said that she slowly counts to 10 before she makes any trade. Do you think you could bounce back from this type of setback? Put them in the comments below.